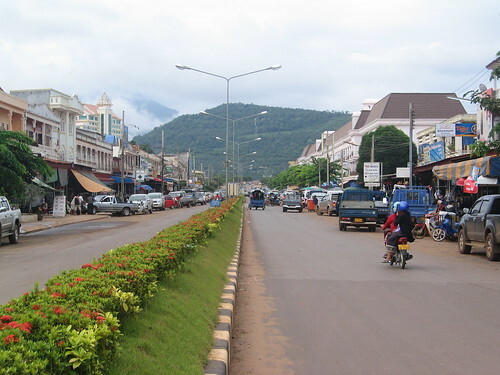 Pakse, the capital and largest town in Champaka Province, is situated at the confluence of the Xe Don and Mekong Rivers. The town began as a French outpost in 1905 and was the capital of the Champaka Kingdom until 1946, when the Kingdom of Laos was formed. Today, Pakse is the economic hub of the region and starting point or base for venturing into the province. Pakse may be the hub of the province but a small town of 80,000. You can explore Pakse on foot but tuk-tuks (motorised pedicabs) are available to get you around or you can rent a motorbike. 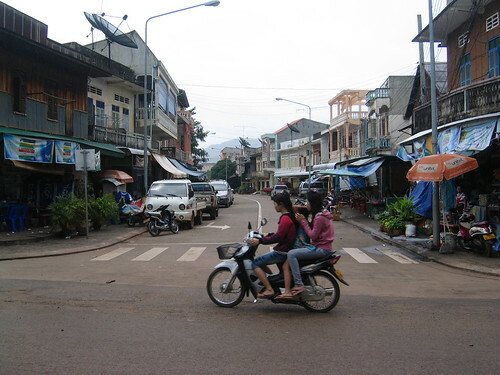 Pakse is located along National Road 13, which connects the town with the rest of Laos. It is also the main street with many hotels and tourist class restaurants located here. 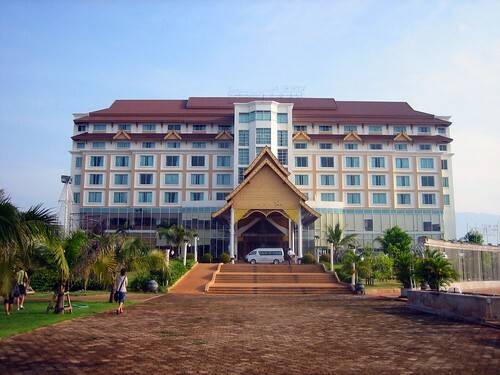 Pakse is often used as a transit point and little else for many travellers. As a transit point, Pakse offers a decent range of accommodation but generally cost more than the rest of Laos. With little to see, a visit to a local market is probably the highlight of your stay in Pakse. Recommended is the Talat Dao Heuang Market located on National Road 13 near the Laotian-Japanese Bridge.